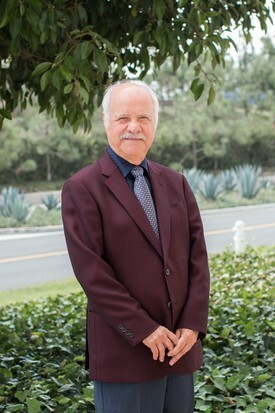 Dr. Jafar Assaf has been in private practice since 1985. In his career, he has provided services for over 100,000 patients and continues to deliver the best quality of care in dentistry. Dr. Jafar Assaf is very experienced in full mouth reconstruction, dental implants, oral surgery, Invisalign, and cosmetic dentistry. He has completed thousands of hours in training in all aspects of dentistry. Dr. Jafar Assaf is a past member of the American Academy of Implant Dentistry and a current member with the California Dental Association, American Dental Association, Advanced Education in General Dentistry (AEGD) and local dental societies. Dr. Jafar Assaf loves traveling especially on cruises, spending time with his eight grandchildren and wife of 40 years. Dr. Gina Assaf followed her father’s footsteps and received her dental degree from USC School of Dentistry in 2011. After graduating, she obtained her dental licenses in two states, practicing dentistry in Missouri as well as in California. She is a current member of American Dental Association, California Dental Association, Orange County Academy of Cosmetic Dentistry and local dental societies. Dr. Gina Assaf emphasizes patient's comfort as well as keeping up-to-date with the latest advancements in dentistry enabling her to provide her patients with the best quality of care in the field. Dr. Gina Assaf is certified in IV Conscious Sedation and has extensive training in cosmetic and general dentistry. Dr. Gina Assaf loves exercising on her peloton bike, spending time with her two children and husband, and doing escape rooms. She also loves dancing to hip hop music.